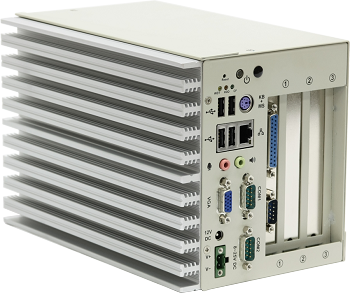 Nuvo-2000 Intel® Atom™ D525 fanless PC is a a compact controller with the flexibility to expand 1 or 3 PCI/PCIe slots with fanless design. 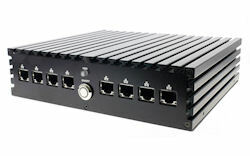 It could be mounted on factory, automation machine or outdoor control and monitoring applications. 2 SATA ports are offered. You could install two 2.5' HDD in this compact box.